Lella Vignelli was born in Udine. She graduated from the faculty of architecture in Venice, and immediately obtained a study grant for the School of Architecture at the MIT (Massachusetts Institute of Technology at Cambridge). Massimo Vignelli was born in Milan in 1931 and studied architecture in Milan and Venice. With his wife, Lella, he worked in the fields of graphic design, corporate identity programmes, packaging, signage for buildings and transport, furniture, interior and exhibition design. In 1960 they founded the “Lella & Massimo, design and architecture office” in Milan. 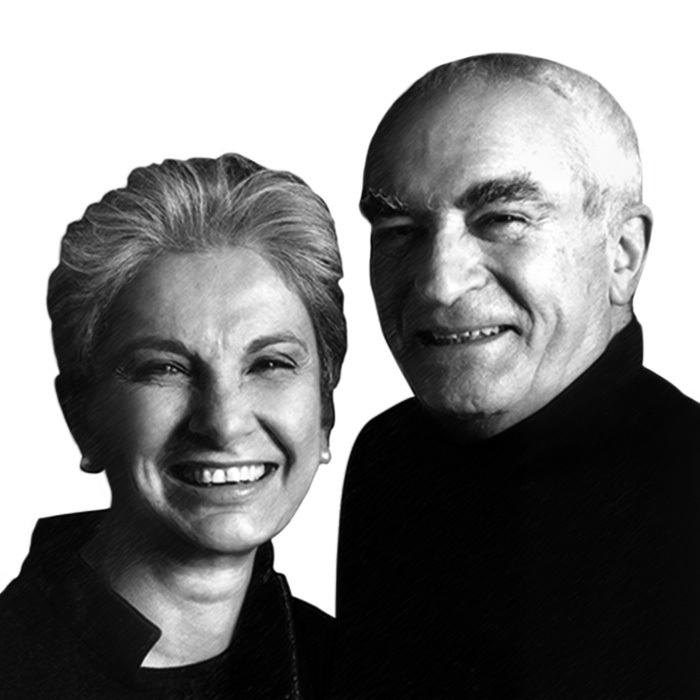 After moving to the United States at the end of the sixties, in 1971 they founded “Vignelli Associates” in New York. Designer for San Lorenzo since 1970.